Ron is a retired mining executive who was born and raised in Northern Manitoba and has spent most of his life there. Ron was retired almost 6 years before he was inspired to pursue his life long dream of painting. He was fortunate to cross paths with Lloyd Major, a well known west coast artist, who introduced him to the art of oil painting. Lloyd has since become Ron's mentor when he and his wife, Raye, escape the coldest part of the winter and travel to Vancouver Island. 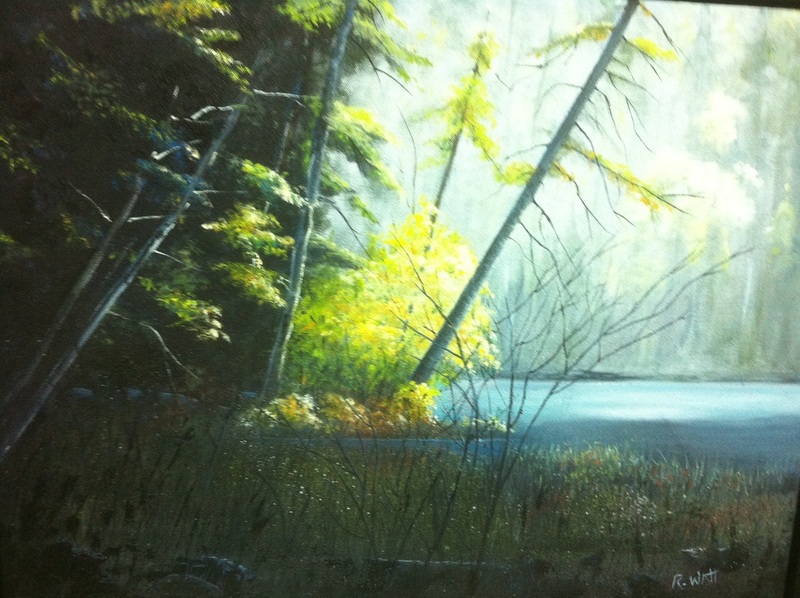 Ron utilizes many of the techniques he has learned from Lloyd to paint what he knows best- the lakes and streams of the Boreal forest. Ron was a founding member of NorVA, and is most thankful for the community and provincial support it has received to encourage artists throughout the North. Click on any photo below to enlarge the image.